Savannah – a Must Visit City! Our ‘Thelma and Louise’ road trip from Miami to New York had many interesting and rewarding experiences. 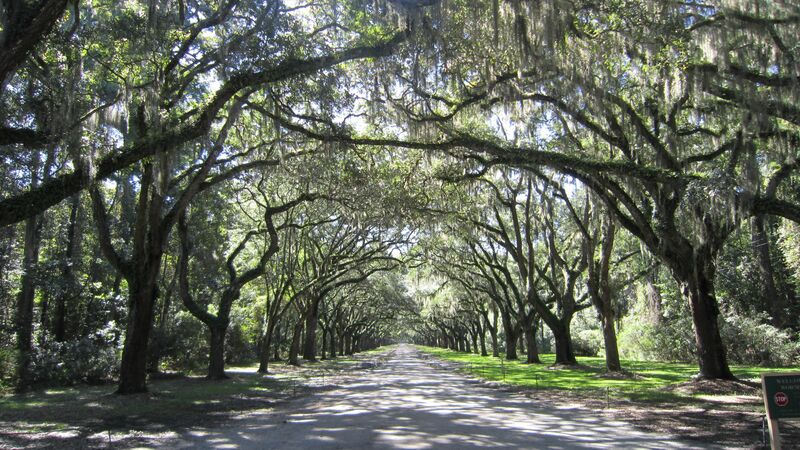 Having read the book and seen the movie Midnight in the Garden of Good and Evil that was set in and around Savannah, Georgia; I imagined driving up long driveways covered by oak trees with hanging moss – I was not disappointed! 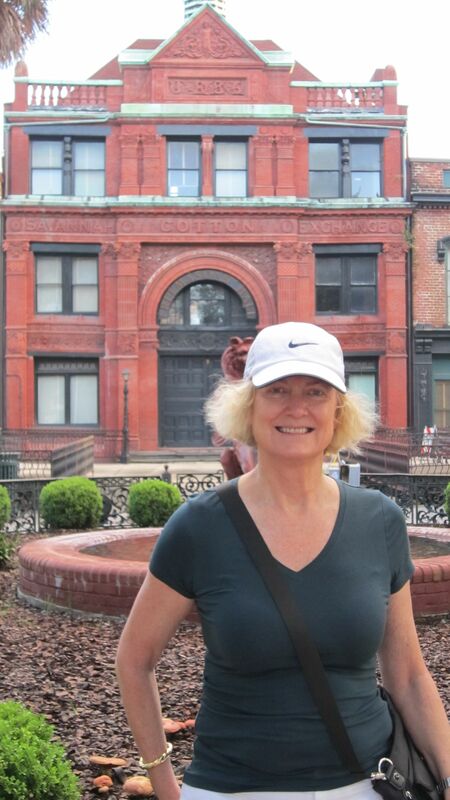 We were in Savannah during the lead up to Halloween – pumpkins everywhere! Savannah is a city of elegant architecture, ornate ironwork, fountains and green squares. The 22 Squares are set out within a unique grid of streets that follows a pattern established by General James Oglethorpe when he founded Savannah in 1733. 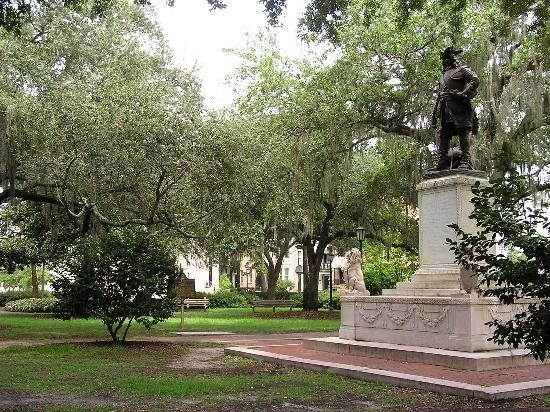 Most squares are planted with oak trees, some with monuments and others have fountains, but each of the squares is wonderfully maintained and helps to make Savannah a remarkably beautiful and unforgettable city. Reynolds Square, originally called Lower New Square in 1734, was once home to the Filature, the place where silkworms were housed. Chippewa Square was laid out in 1815 and named in honor of American soldiers killed in the Battle of Chippawa during the War of 1812. In the center of the square is a bronze statue of General James Oglethorpe. An early morning walk took us along the Savannah River. I keep getting asked what was the highlight of the road trip – every day had a new experience, be it sights, restaurants, historic homes and cities; however Savannah was definitely one of my top experiences! Plus I am happy to say Thelma and Louise are still here to relate their experiences!